As we creep into October, the Halloween bonanza continues. Witches hats are placed with care throughout our home, along with singing skeletons, swinging witches, spooky pumpkins and mice. Mice? You ask. Yes, I said mice. 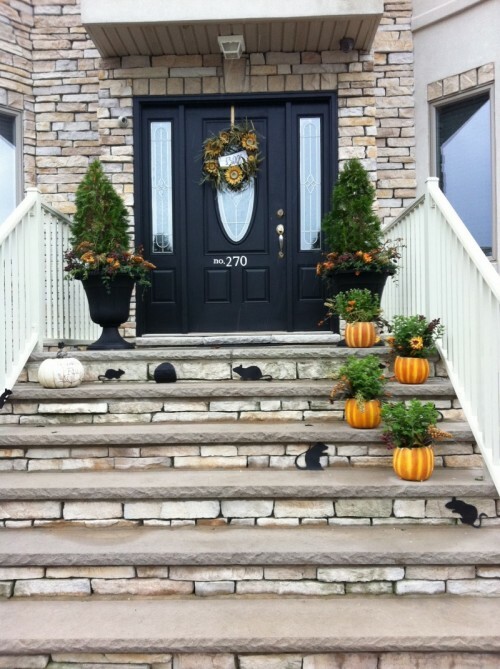 Notice the mice on the step – how cute is that, and how easy to turn into a DIY project. I started by going online and searched Bing for images of mice cutouts. After some dinner with my little man, out came the scissors and it was arts and crafts time. My thought was to cut out each mouse and laminate it so it is protected from the elements. 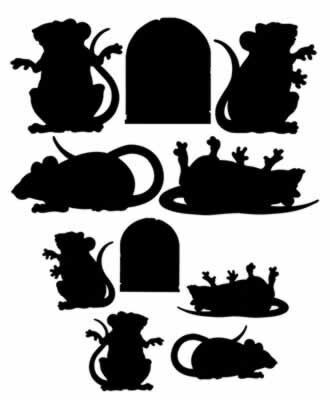 This is a great project for your little one to help with; I printed off an extra sheet of mice and let him join in the fun. After cutting out each picture, I laminated the mice using a Scotch Laminating Sheet. Since it was too dark out to put them on the porch steps and take a picture we tested these out on our stairs. The looked good, and bonus, it was a new and fun thing for JBear to play with. He kept moving those mice from step to step and I just kept snapping pictures. The next day, we moved these little critters to the front porch to see how they looked outdoors. Which brings me to my question for all of you……when is it too early to start decorating for Halloween? With that in mind, this weekend I am planning on breaking out most, if not all, my Fall/Halloween decorations; and perhaps add something new here and there. 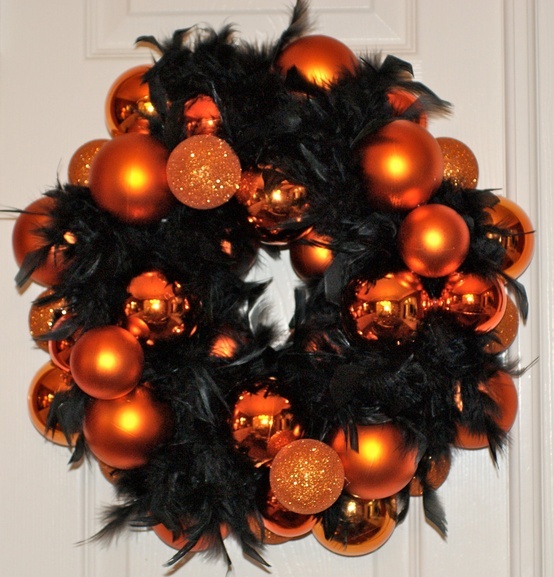 A welcomed addition, would be this Fall/Halloween wreath (from Etsy) is absolutely gorgeous and I think could be made into a DIY project. 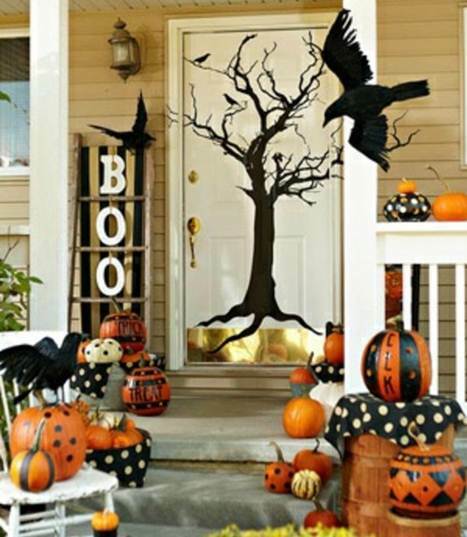 And that of course this brings us to porch decorations like fake crows, witches brooms, a bat here and there and pumpkins (we must have pumpkins); the possibilities are endless. And I absolutely LOVE this idea, it is subtle but super cute! If you want nothing to over the top, but just enough to respect the changing of the season why not add some fall coloured pillows to your porch bench/chairs, perhaps drape a fall inspired blanket over the back to keep you nice and cozy while you sip on warm apple cider and watch the leaves turn colours. 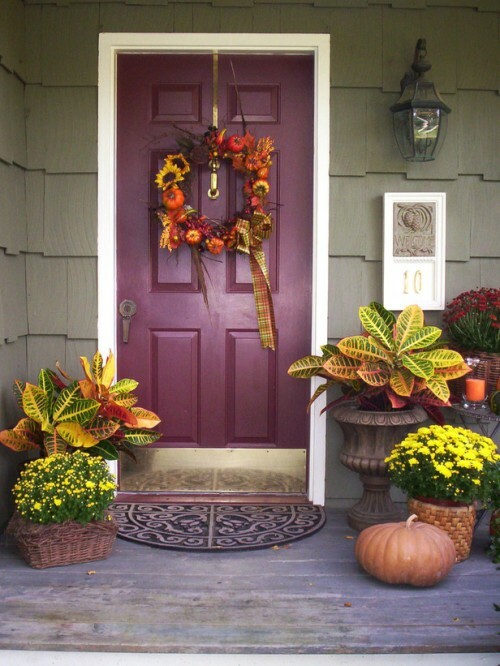 I am sensing a Halloween porch make-over post coming on….stay tuned! 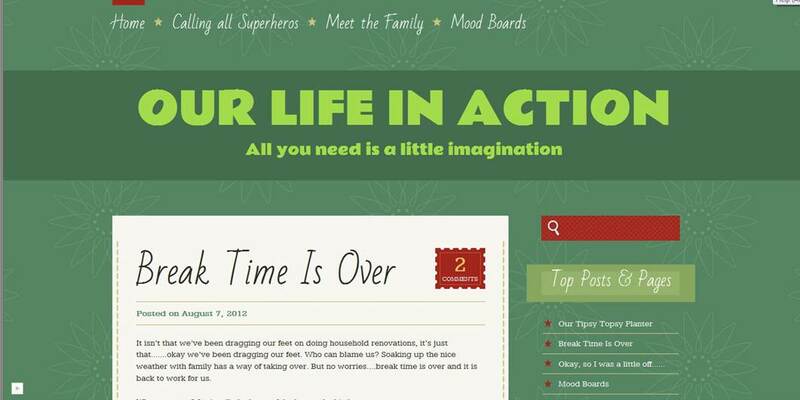 Although I love our blog I think it is time for a little make over. You know, make things a little more user-friendly, perhaps add a splash of colour here and there, and some pictures that make this blog unique to us. 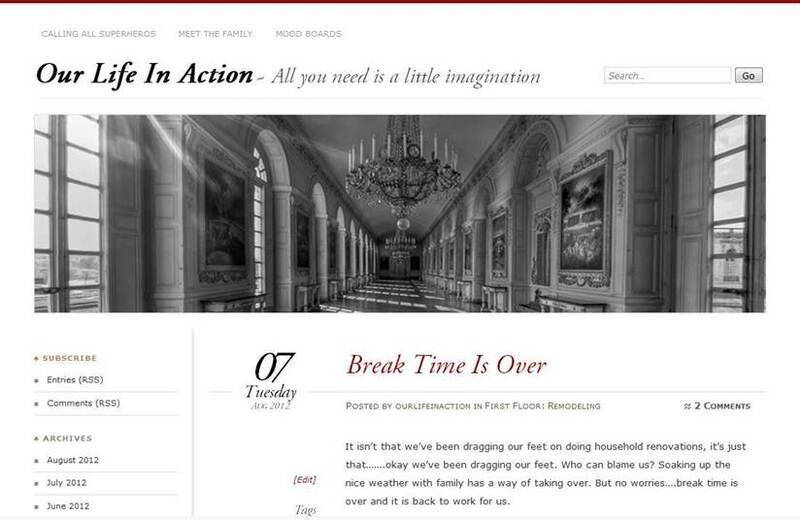 Here is the question, do we stick with the same theme, just add a little zing to it? Or do we go with something totally new? Here are a couple options I liked. This one is very pretty. I LOVE this one however I would like to change the colours to reflect our style. Everything looks easy to find especially the comment section which I believe is a little hard to see on our current site. This one is cute however I would love to be able to modify the banner and the colours. What do you think? Go for a total change or modify our current look?